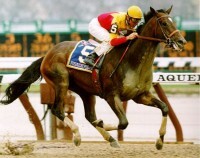 The new millennium was off to a furious start as FUSAICHI PEGASUS would live up to all the hype and be the first odds-on favorite since SPECTACULAR BID in 1979 to take the roses. 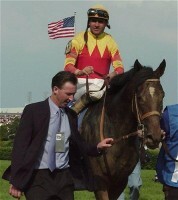 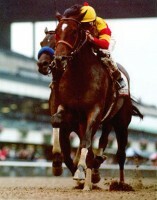 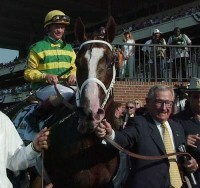 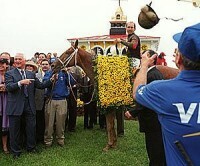 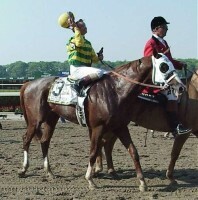 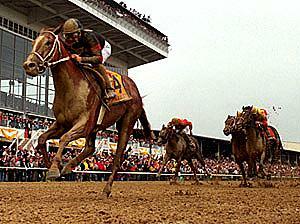 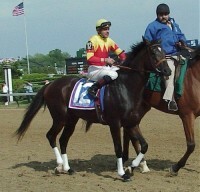 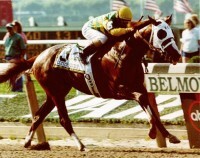 RED BULLET would be the victor in the Preakness and COMMENDABLE a marathon whiz in the Belmont. 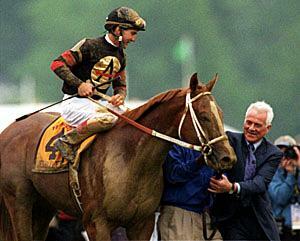 Complete televised broadcast of all three races featuring such other standouts as TRIPPI, IMPEACHMENT, HIGH YIELD, CHINA VISIT, CURULE, ANEES, HAL'S HOPE, CAPTAIN STEVE, WAR CHANT, MORE THAN READY, THE DEPUTY, GRAEME HALL, EXCHANGE RATE, SNUCK IN, UNSHADED, GLOBALIZE and TAHKODHA HILLS. 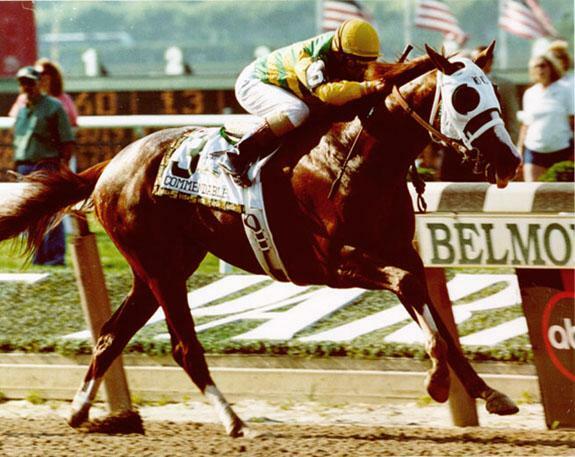 FOR A COMPLETE LIST OF THE ENTIRE 2000 KENTUCKY DERBY, PREAKNESS AND BELMONT FIELDS, JUST REQUEST A COPY AND A COMPILATION SHEET ALONG WITH THE 1,2,3 FINISHERS WILL BE E-MAILED TO YOU.